Ladies and Gentlemen I am genuinely stunned to have this competition on my site…… Huge thanks to Kenny Atkinson for making this possible!! 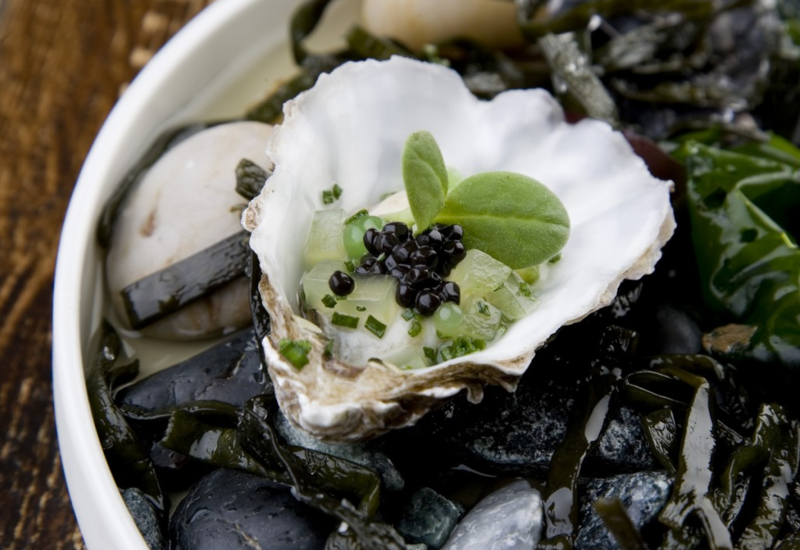 We are offering one lucky entrant the chance to win the epic 6 course tasting menu for two at House Of Tides!! In my opinion his restaurant will be the first Michelin Star restaurant the city has ever had! Same rules as before… Share the competition on facebook and visit ravenousfox.co.uk leaving your name as a comment! Good luck!! Youve got 1 month!! Closing date April 13th. I’d love to win this! Our last date night was over a year ago and Kenny’s food sounds amazing! Fantastic prize always wanted to try here ! I am desperate to visit this place!!! Everything crossed to win this!!!!! just been building a wardrobe for kenny’s grandmother joice last week and she told me how amazing the food was here and my wife has been going on about the place for months now and would be great to be able to take her, gotta gotta gotta win!!! Carolyn Fenton – Gotta be in it to win it! Caroly Fenton – Gotta be in it to win it! Would love to try house if tides, sounds amazing!! Eve Purdy – I have been wanting to go here for far to long! fab competition!! yes please yes please yes please! Wow great competition – really want to try it! Fingers crossed! Sounds amazing! Would love to visit the restaurant, thanks for the opportunity! Selfishly entering to take a good friend out to celebrate her engagement. Come on Kenny! A complete foodie, this would be amazing. Heard glowing reports of this restaurant! Wonderful prize fingers firmly crossed good luck everyone . sounds like an amazing place and one that’s on my to do list! Fingers crossed! Wonderful competition. I don’t know anyone that wouldn’t want to win this. Wow! This looks totally amazing! Would love another chance to enjoy the food here. 40th birthday next month would be a fantastic treat !!! House of Tides sounds amazing- been trying to persuade my husband to take me for ages! Have wanted to try the House of Tides for ages, looks amazing ! Shared on Facebook, fingers crossed! shared on fb, fingers crossed! Wonderful prize. Would me marvellous to win it for our anniversary meal :). Yes please. Bloody great prize! Just discovered Ravenous Fox, I’m loving the recipes! Send me a weekly update of new posts.